Summer Palace is the largest and most well-preserved royal park in China, situated 15 kilometres from central Beijing. It covers an expanse of 2.9 square kilometres, three quarters of which is water. Summer Palace was used as a summer residence by China's imperial family, as the retreat from main imperial palace, the Forbidden City. My first time visiting Summer Palace was about 20 years ago when I was a kid. All I can remember, it was spring and colourful flowers were blooming everywhere. Last year I visited during winter, it was freezing and snowing quite hard. Thus everything looked totally different. 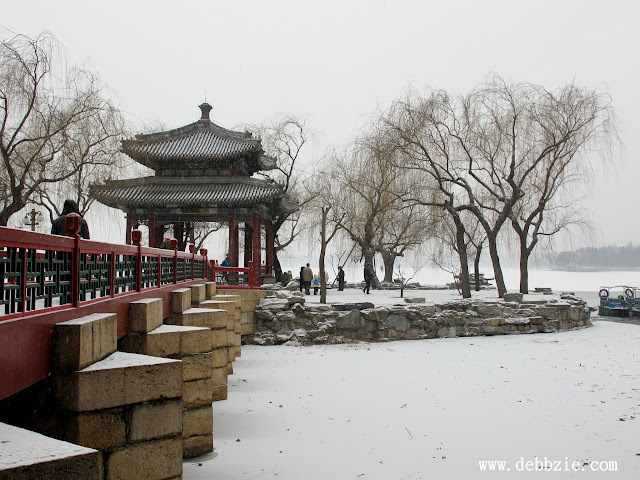 With those thick snow covering almost everything and most part of Kunming lake was already frozen. The contrast of red buildings against the white snow and misty lake, somehow looked mysteriously beautiful. It felt like I was wandering inside a snow globe. Before exiting the palace, I passed by the Hall of Benevolence & Longevity. There's some animal bronze statues there. One of most famous statue was Qilin, an auspicious legendary animal that has the power to punish evil and repel the wicked. It's a symbol of good omens, protection, prosperity, success, and longevity by the Chinese. Depictions of the Qilin show a creature with the head of a dragon, the antlers of a deer, the skin and scales of a fish, hooves of an ox and tail of a lion. It's sometimes called the Chinese unicorn. For dinner, we went to a Mongolian restaurant which famous for the roast lamb menu. I'd say that this is one unique restaurant which is a large area with at least 30 white round tents or they call it Mongolian yurts. We were led to one of the yurts, passing by the open kitchen that equipped with modern rotating spit for roasting the lamb. We entered one of the yurt with interesting interior in red and gold colour. We were served 7 kind of menu that mostly were lamb as basic ingredients. There was also a group performance of singer and dancers to keep us entertained during dinner. Ubud. 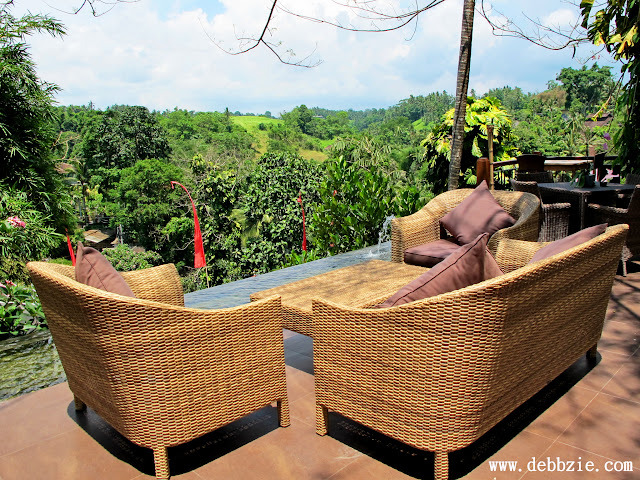 Every time I heard or think about Ubud, the first thing that cross my mind will be "tranquillity". 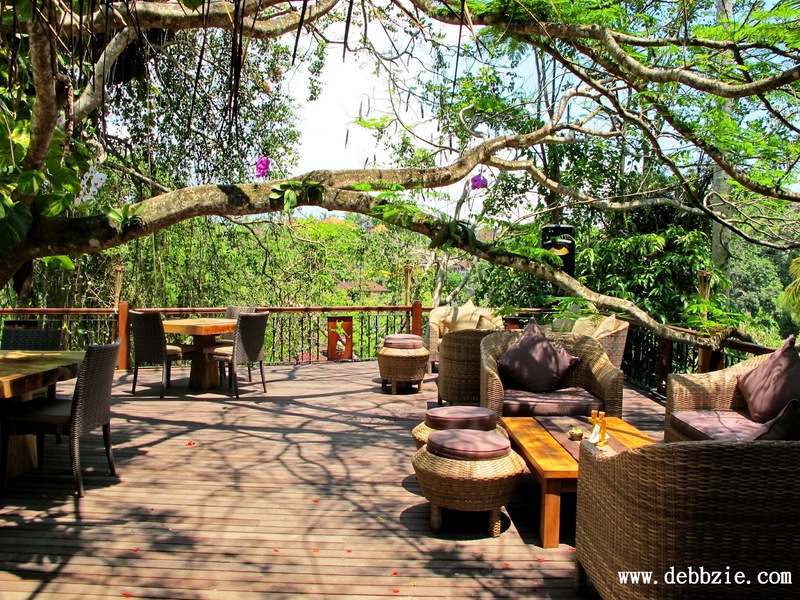 It's located among rice paddies with stunning tropical valley views. 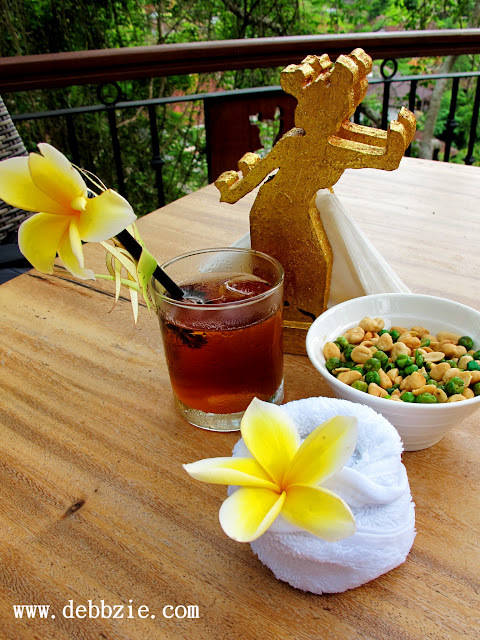 While the city centre is getting very crowded nowadays, some parts of Ubud still remains peaceful. 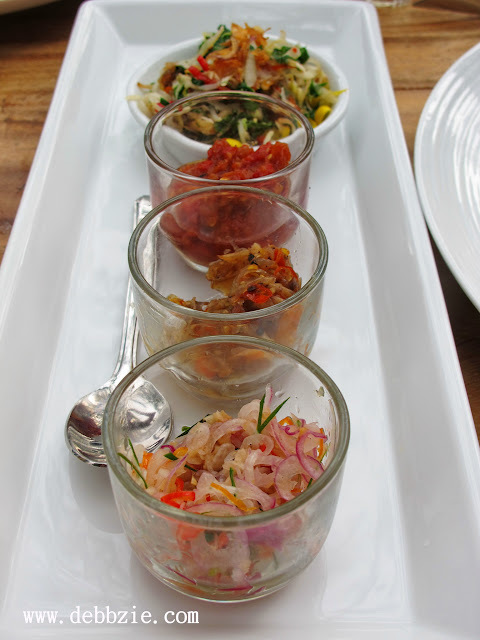 We had some options to choose before finally settled to have lunch in Rondji Restaurant. 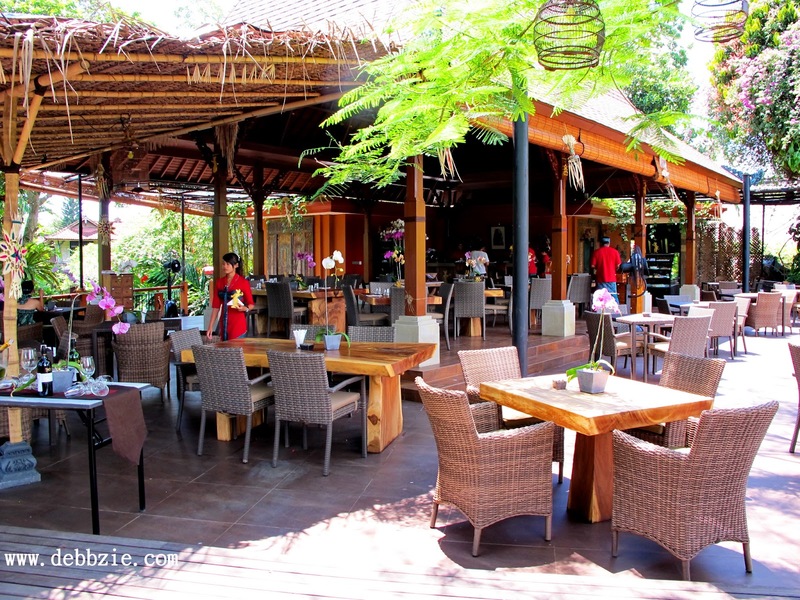 One of the newest restaurants in Ubud that located next to Antonio Blanco Museum. I have to say that the location is superb with gorgeous view from the terrace. 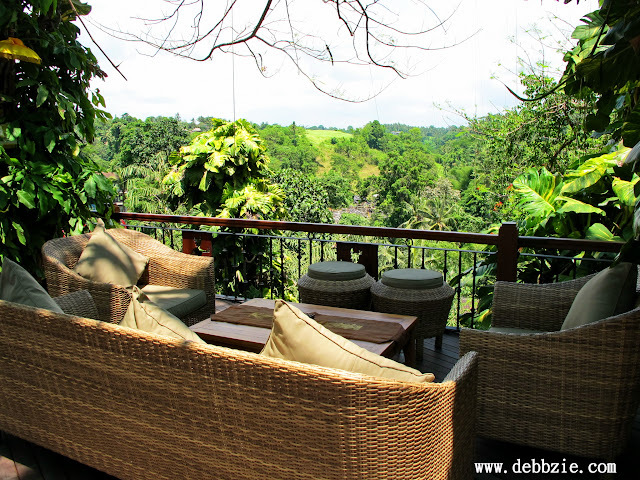 My favourite spot is chilling on one of those comfy sofas while admiring the greenery afar. 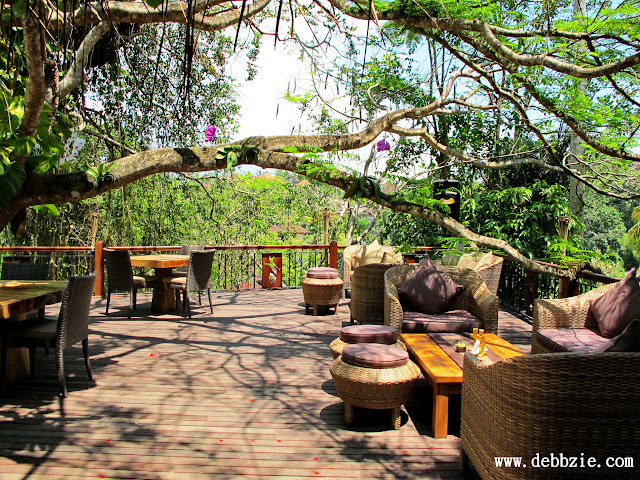 With laid back ambiance, it feels like I could stay here the whole day. It didn't take long for the food to be served. 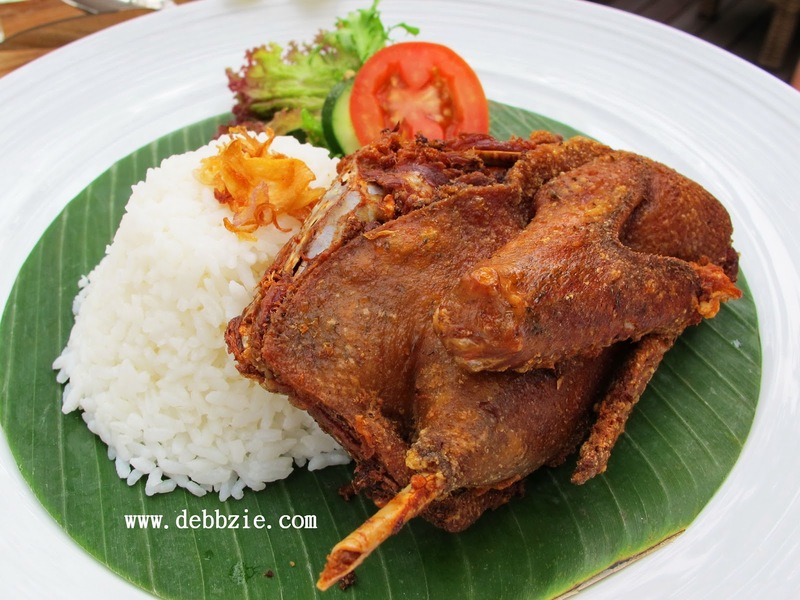 Yvan, Febbie's husband ordered Poulet Roti. 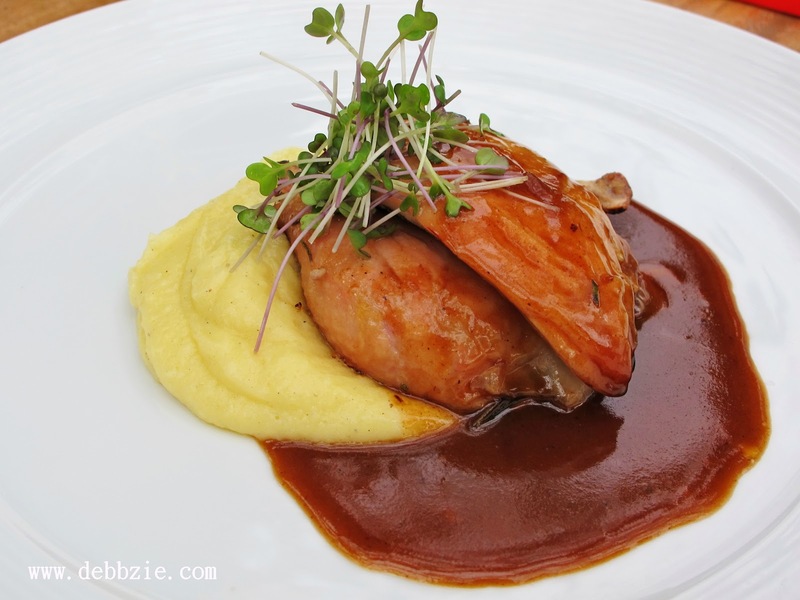 Roasted chicken breast and leg served with mashed potato and gravy. While the portion looks quite small, according to Yvan it tasted good. 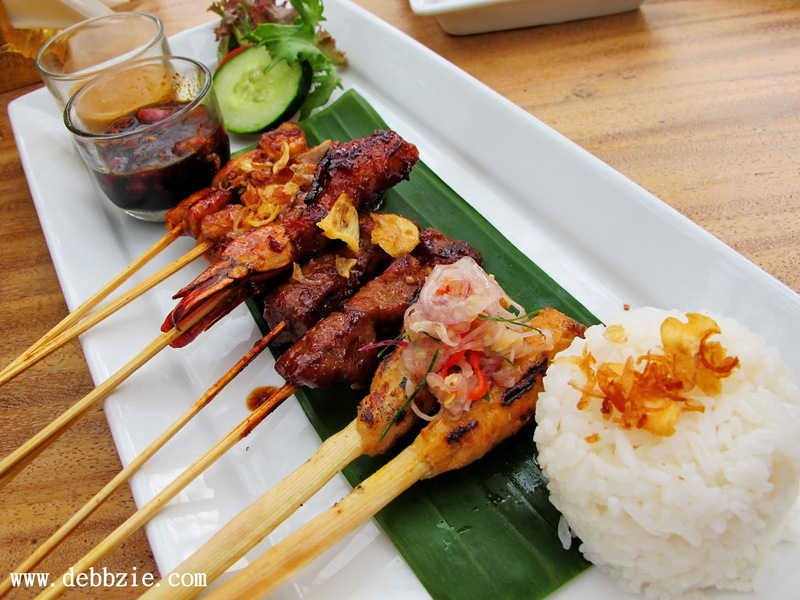 I ordered assorted satay which consists of chicken satay, beef satay, prawn satay and fish satay (sate lilit). All of them were grilled to perfection and tasted delicious. Served with rice, peanut sauce and sweet soy sauce with sliced chili. In my opinion, it would be perfect if the rice portion were a bit bigger. Best of all was this Bebek Rondji, a deep fried duck with scrumptious crispy skin and flavourful meat. Served with rice, sayur urap (vegetable with grated coconut and spices), and 3 kind of sambal (condiment with chili based sauce). 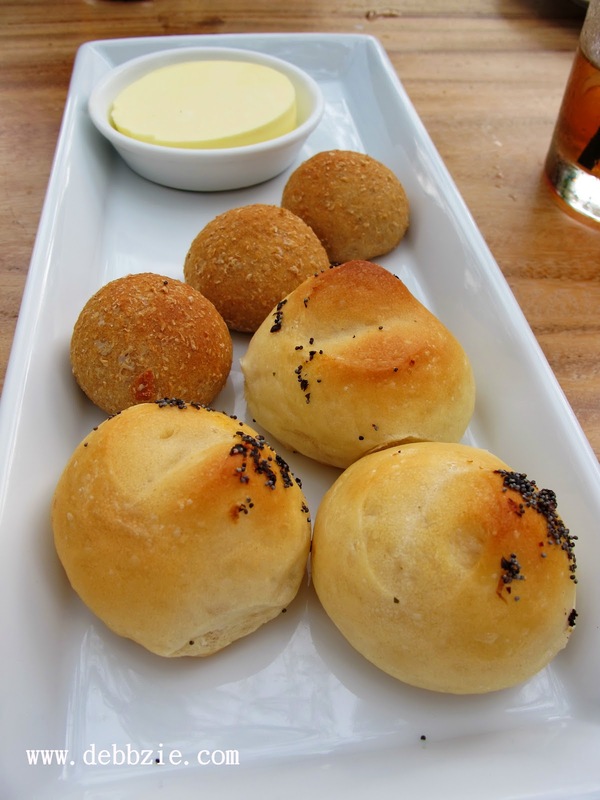 It's so yummy that I would definitely order this every time I visit Rondji restaurant. We were already full when the owner of Rondji restaurant, Mr. Mario Blanco kindly offered a complimentary dessert for us. 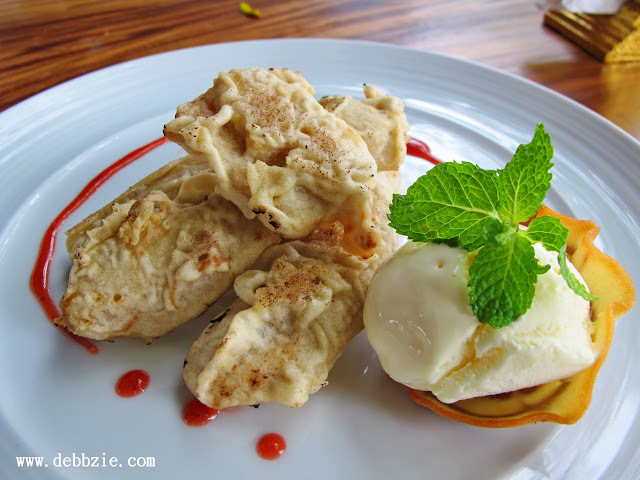 It was fried bananas with vanilla ice cream and swirl of strawberry sauce. A simply mouthwatering dessert with beautiful plate presentation to end a meal on a sweet note. 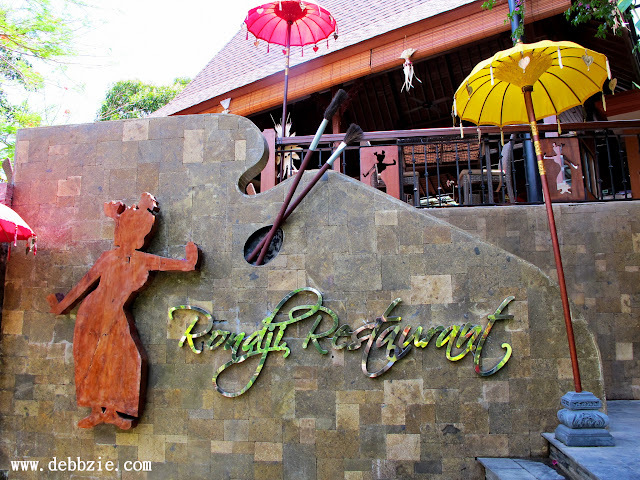 My overall experience in Rondji restaurant was just awesome. 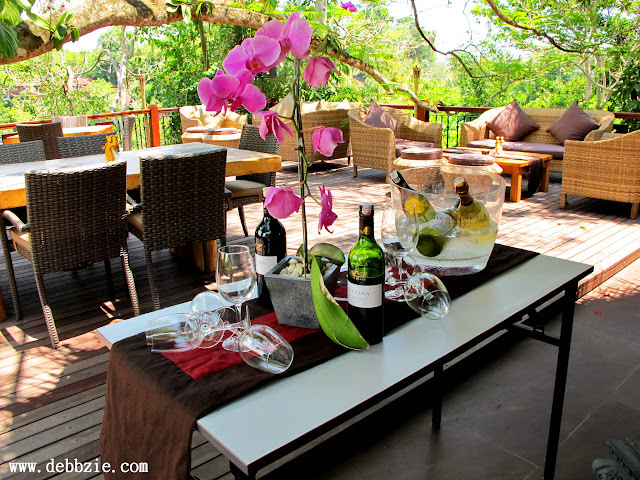 Beautiful place with stunning views, delicious meal and great hospitality. I couldn't ask for more. So next time when you're in Ubud, don't forget to stop by this restaurant. In case you're lost, just ask the direction to Antonio Blanco museum. After 18 hours journey of long flight and transit in Singapore and Frankfurt, I finally landed in Berlin, the capital and the largest city in Germany. I had to fight the urge to jump straight into my hotel bed. Despite of the jet lag and looked like a zombie, I decided to wander around the city and managed to visit some of the Berlin icons. honestly I don't know the name of this pretty building. Any Berliner here to help? sunrise in Berlin. Guten Morgen ! Have you ever been to Berlin before ? What have I missed ?